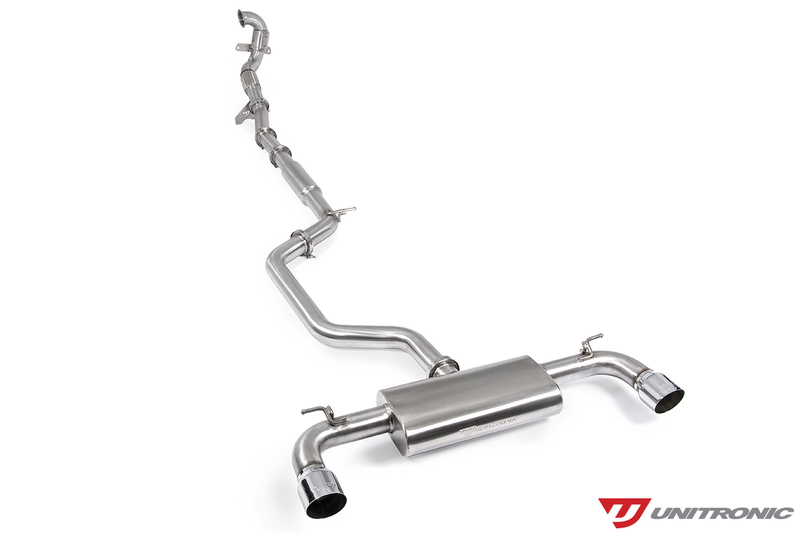 Unitronic is pleased to present its 3" Performance Turbo-Back Exhaust System for MK7 GTIs equipped with the 2.0L TSI EA888 Gen 3 MQB engine. 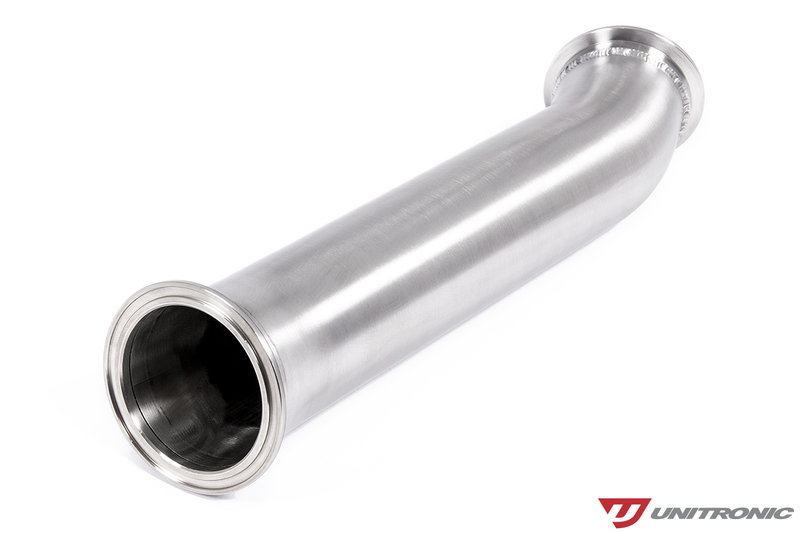 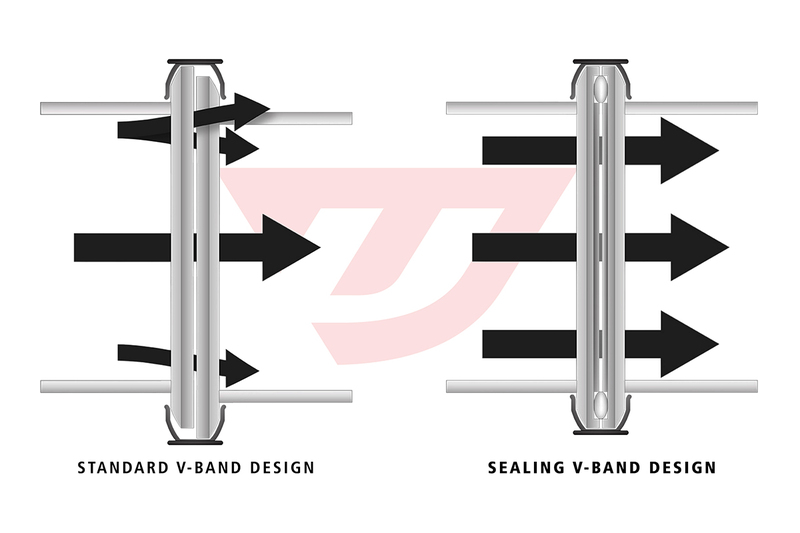 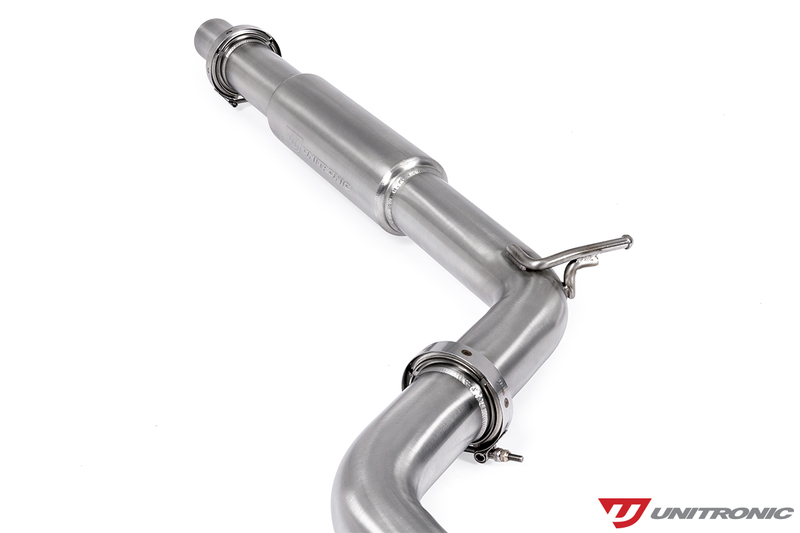 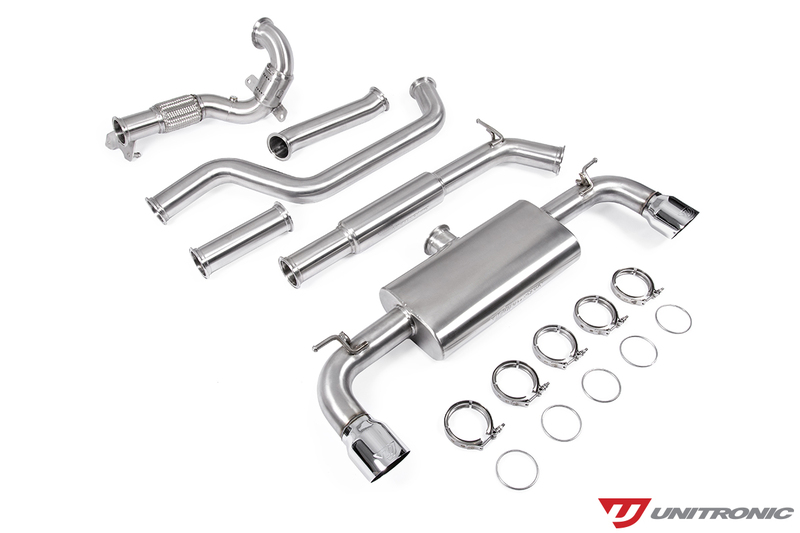 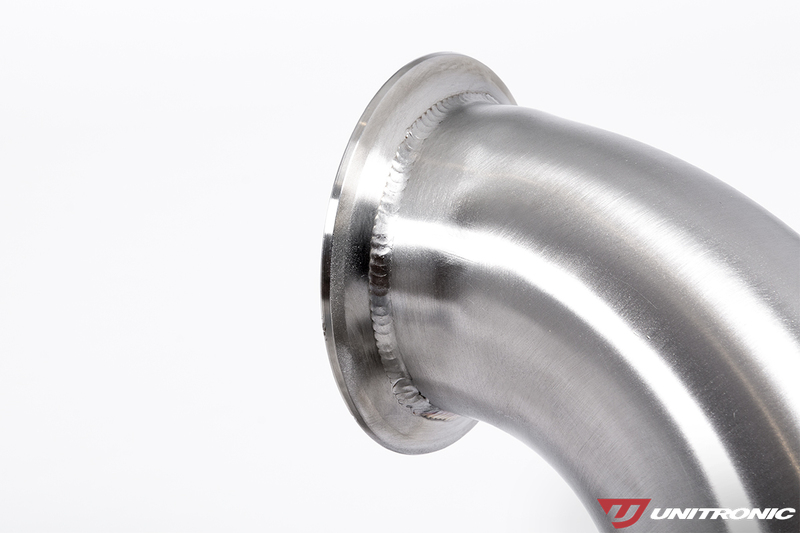 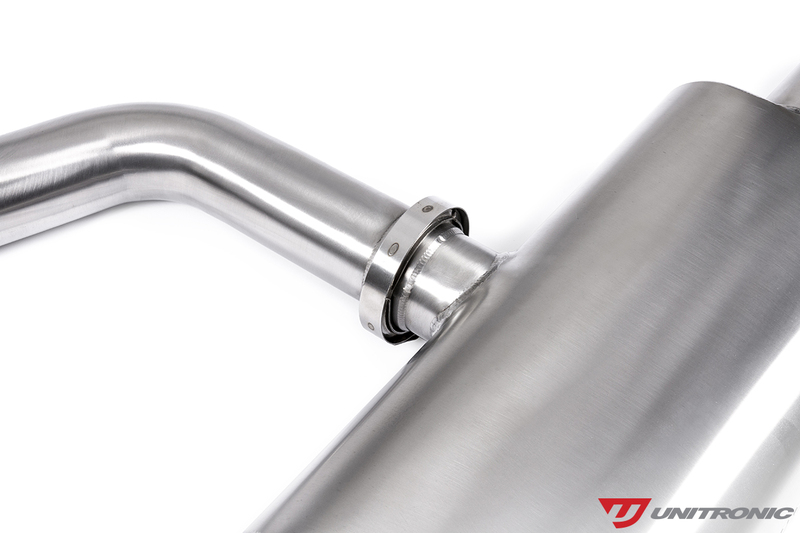 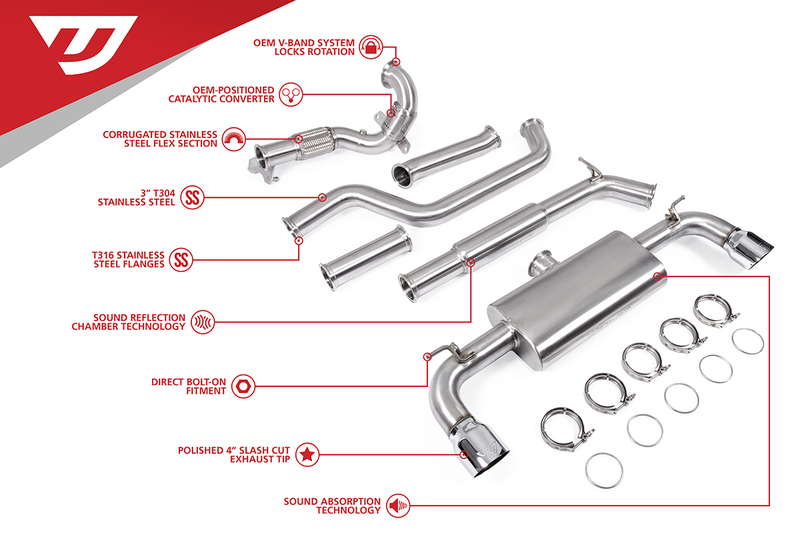 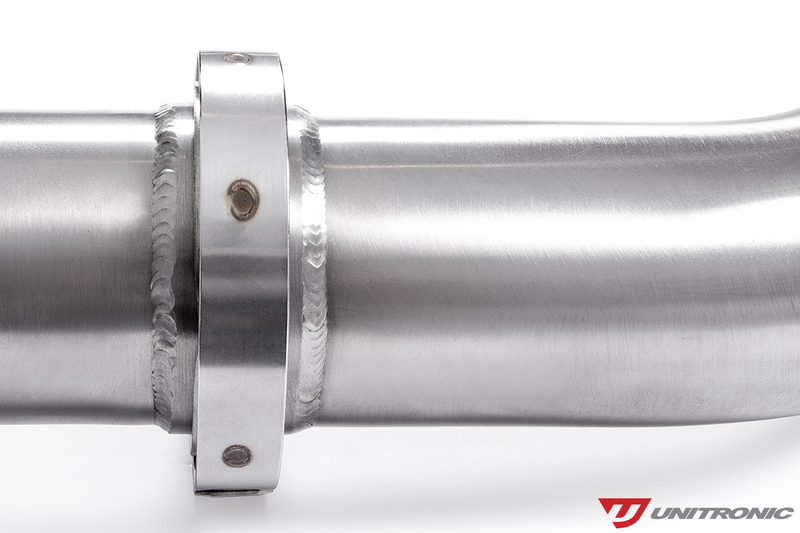 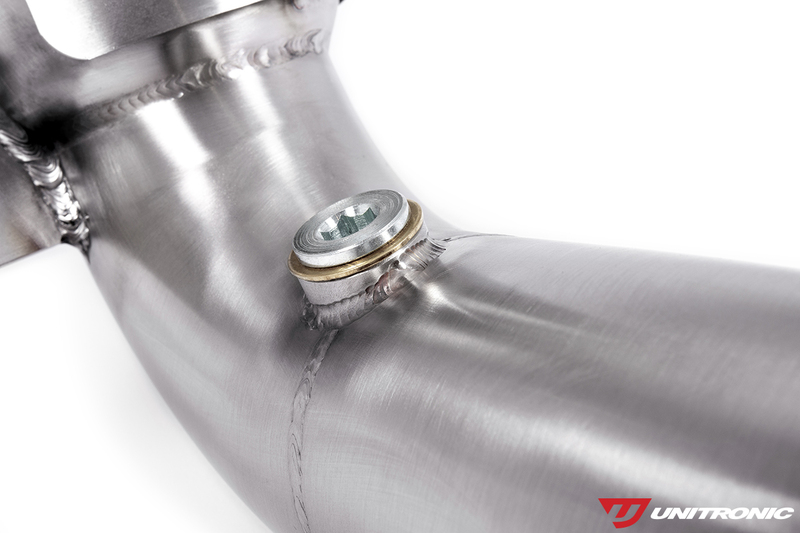 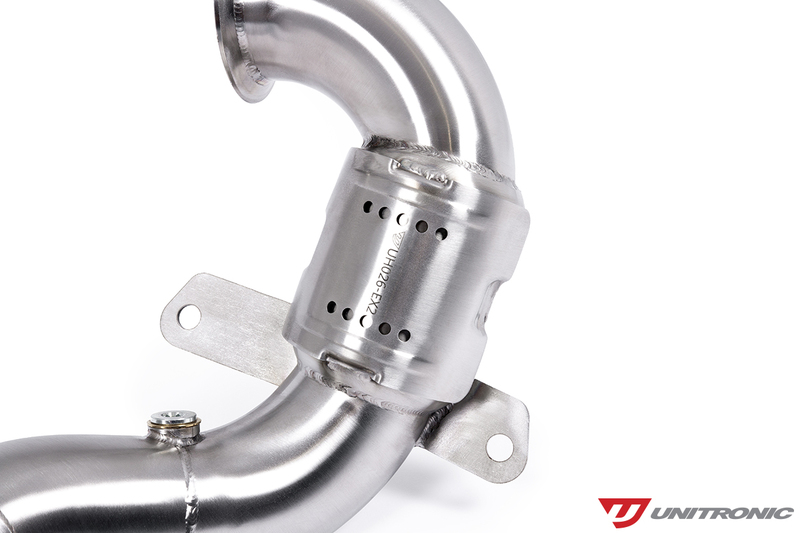 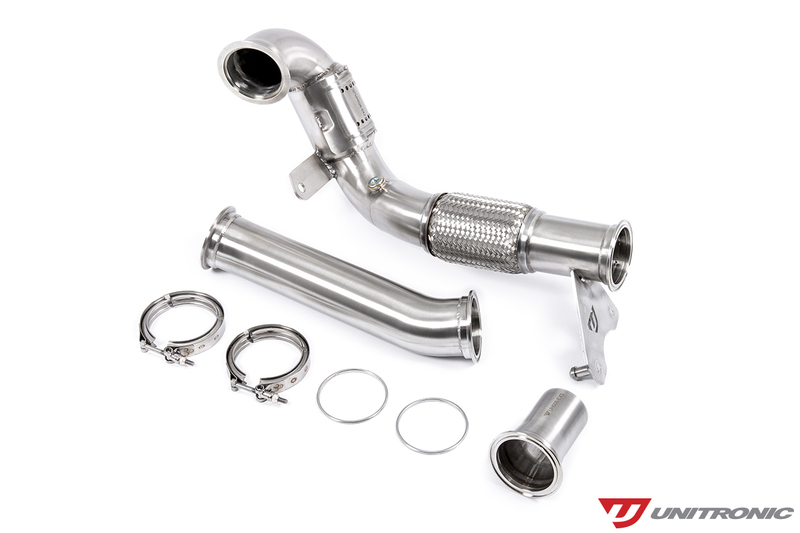 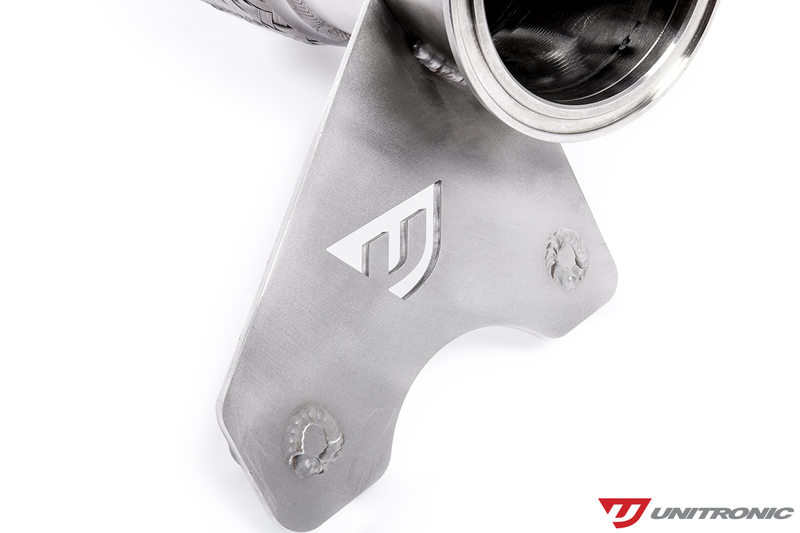 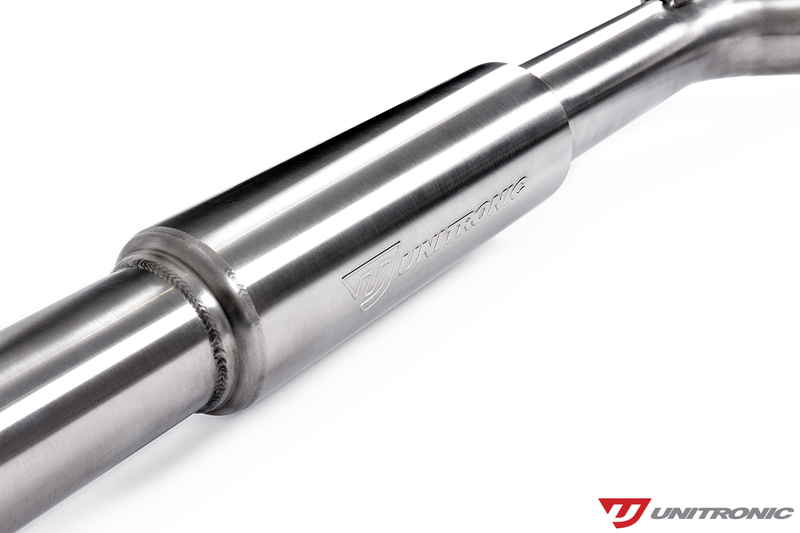 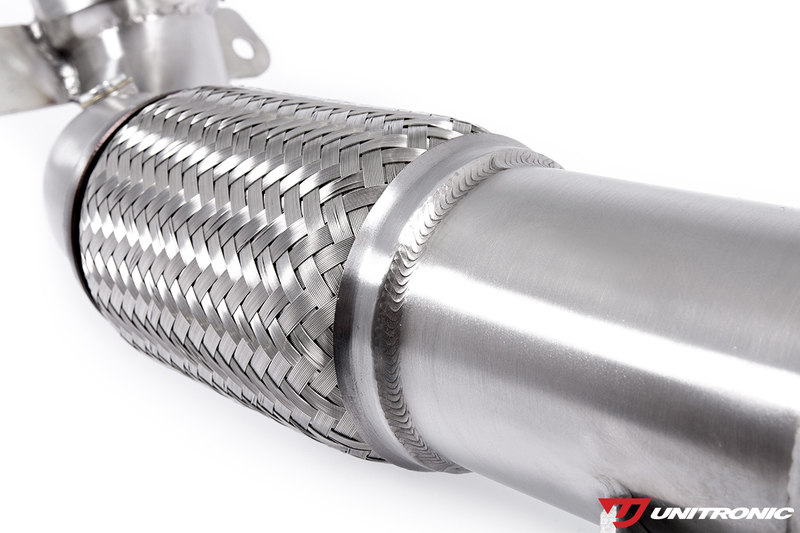 Featuring TIG welded T304 Stainless Steel CNC mandrel bent construction, stainless steel corrugated flex section, high flow 200-cell metallic catalytic converter, and a straight-through, free flowing design; Unitronic’s Turbo-Back Exhaust Systems are designed to remove the factory exhaust restrictions to unleash the full potential of the engine. 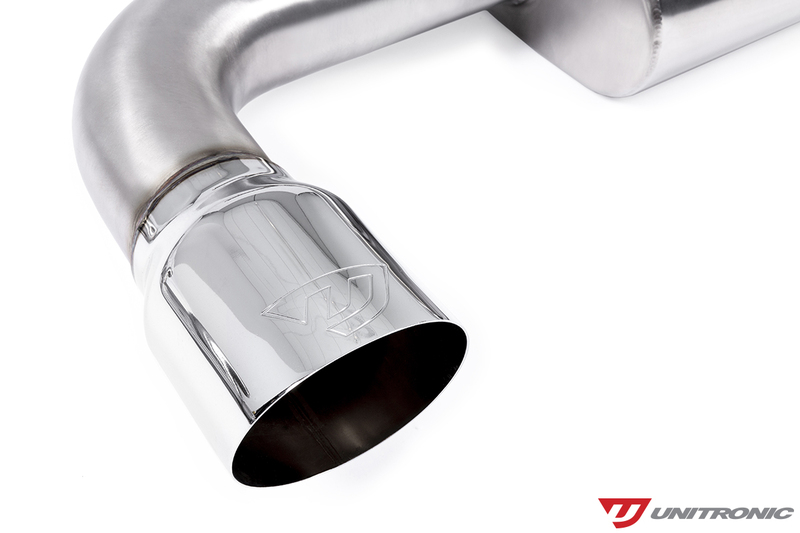 These attributes combined ensure maximum performance, while maintaining a comfortable and unobtrusive tone inside the cabin. 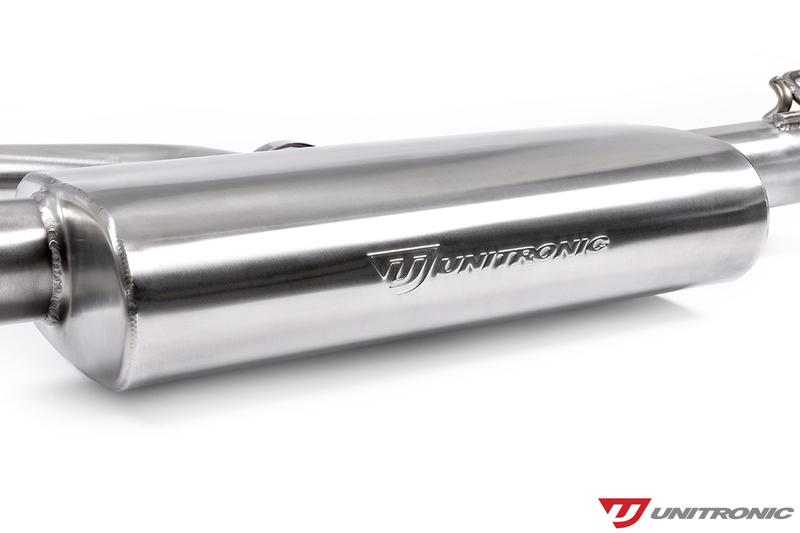 Exiting at the rear, exhaust gasses pass through dual 4" slash cut tips and engraved with the Unitronic logo. 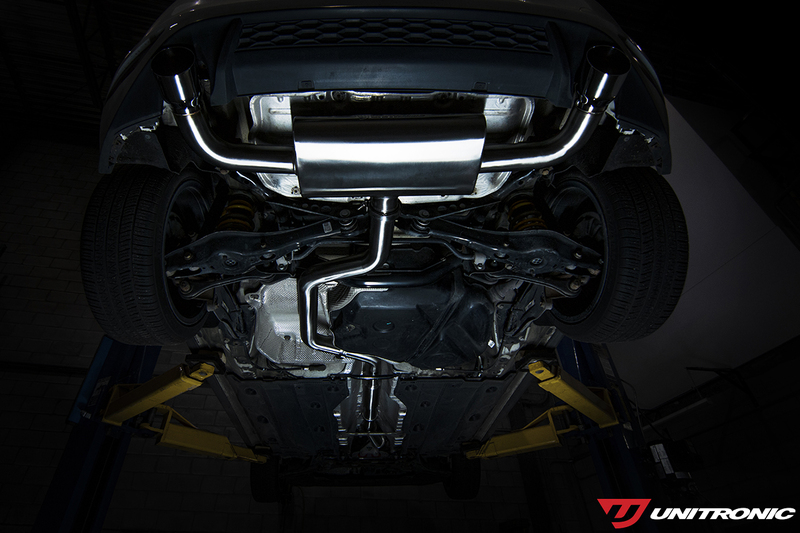 *Not a direct fit on MK7.5 models.